The best way to learn about St. Mark's is to visit our campus. Opportunities include Open House, Morning Coffees, Campus Tours, and Lower/Middle/Upper School visits. Please see below for schedules and details. We look forward to welcoming you to campus soon. November 7, 2018: 5:30 p.m. Registration in the Great Hall begins at 5:30 p.m. Pride Preview 2018 is the all-school Open House for parents and children. Following registration and a dessert reception, families are invited to attend a variety of programs featuring all three divisions of the School. Reservations may be made online. Each Morning Coffee features a guest speaker. 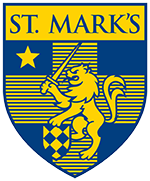 Parents meet informally with members of the St. Mark’s administrative team over coffee and pastries, followed by a guest speaker presentation and a question and answer session with the Admission Office staff. Optional campus tours follow the September and December programs. Reservations may be made online. ~The October Coffee Program includes visits to middle and upper school classrooms. ~The September and October coffees meet in the lobby of Nearburg Hall at 9:00 a.m.
~The December Coffee meets in the Great Hall at 9:00 a.m.
All tours meet in the lobby of Nearburg Hall at 10:00 a.m.
Beginning in October, the Lower School welcomes classroom visits for parents on designated dates. Please call 214.346.8210. Visitations are scheduled on a space-available basis. Middle and Upper School applicants are encouraged to visit the campus and attend classes for a day. The online application will allow you to choose your visit date; once the application is received and processed, a confirmation email will be forwarded. The St. Mark's School of Texas campus is located at 10600 Preston Road in Dallas, Texas, one block south of Royal Lane. Take Preston Road exit and go south on Preston Road past Royal Lane. Turn left into the campus at the Overdowns signal. Take the Royal Lane exit west to Preston Road. Turn left. Go one block south on Preston Road to Overdowns. Turn left into the campus. Exit at Royal Lane. Take Royal Lane east to Preston Road. Turn right onto Preston Road and go one block south to Overdowns. Turn left into the St. Mark's campus.